We provide professional transportation services to individuals as well as private and public companies. 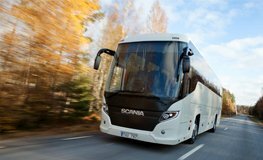 We started our activity in 1995 and became one of the transportation market leaders not only in Lithuania but in the Baltic region as well. 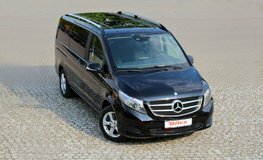 We are proud of being the only company in Lithuania that can offer all the complex of transport services: passenger cars, minivans, minibuses, bus rental, Express, VIP transportation services and minor cargo transportation. Our goal is to provide not only high-quality transportation, but also professional customer services as well as to ensure ultimate comfort and guarantee safety. We regularly improve the quality of our services, expand the range of rental vehicles, regularly check and renew vehicle fleet so that even the most demanding customers can be sure that we will provide transportation services that will meet their expectations. 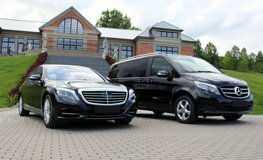 Since customer needs are very different and constantly changing we offer a wide range of vehicles: various class cars, modern minivans and minibuses for a bigger group of passengers, luxurious, comfortable VIP vehicles and buses for different kinds of travel in Lithuania and abroad. Our goal is to ensure high quality of our transportation services as well as our passengers’ safety. For this reason every year we replace our old vehicles by newer and more modern ones and check them systematically in authorized service centres. Therefore, our vehicles meet the highest safety requirements. For this reason you can travel safely for shorter or longer periods of time. 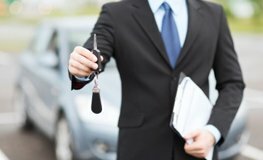 When choosing our vehicles you can always select additional services such as a professional chauffeur, guide, travel or health insurance, visa preparation services and hotel reservations. 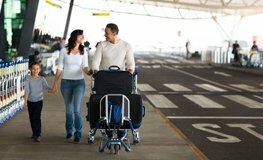 Our offered transportation and additional services will ensure that your trip goes smoothly. 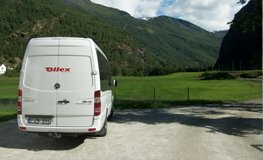 You do not need to worry about anything because an experienced “Ollex” team will take care of your trip.